Claire Hastings is an artist based on the Gold Coast. She graduated with a Bachelor of Digital Media majoring in Fine Art from Griffith University, Queensland College of Art Gold Coast, in 2014. In addition to her arts experience, Claire has worked in the film industry on the Gold Coast since 2008, specialising in production and costume design. Claire’s work is inspired by the natural world and a fascination for the ocean and its’ inhabitants. Her work holds a mirror to people and place, with a focus on locations in Australia, and specifically the Gold Coast. Her process is driven by sketching and ruminating, which is translated into embroidery and watercolour works on paper, found object installations, and oil paintings. Claire participated in the Level Up Youth Artist Incubator Program supported by City of Gold Coast in 2017, and in the Level Up and Up Program in 2018. 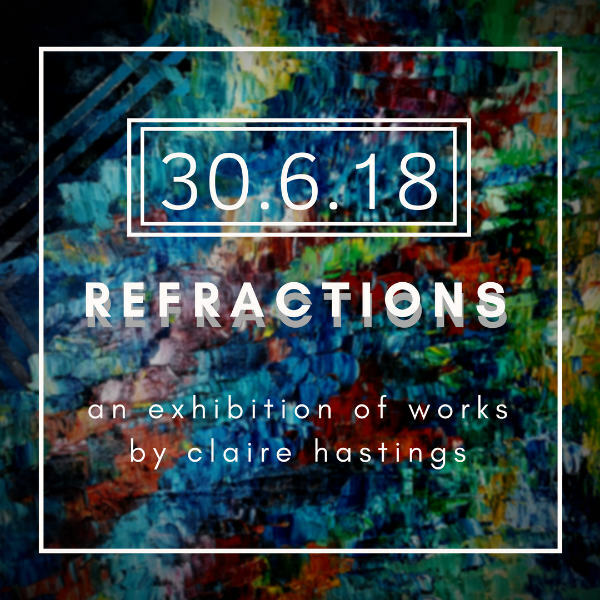 Claire has been in residence at the Level Up Art studio for three months and is showcasing the work she has been producing. There will be works for sale, as well as refreshments provided.